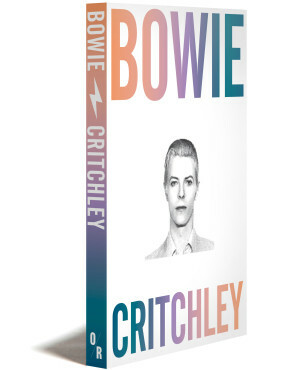 "Critchley lovingly unearths profoundly deep cuts from every Bowie era in a short sharp book worthy of its subject. Miraculously doubles up as an introduction to philosophy." 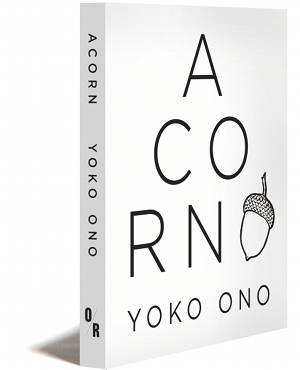 AVAILABLE EXCLUSIVELY IN THE US AND CANADA. Simon Critchley first encountered David Bowie in the early seventies, when the singer appeared on Britain’s most-watched music show, Top of the Pops. His performance of “Starman” mesmerized Critchley: it was “so sexual, so knowing, so strange.” Two days later Critchley’s mum bought a copy of the single; she liked both the song and the performer’s bright orange hair (she had previously been a hairdresser). The seed of a lifelong love affair was thus planted in the mind of her son, aged 12. In this concise and engaging excursion through the songs of one of the world’s greatest pop stars, Critchley, whose writings on philosophy have garnered widespread praise, melds personal narratives of how Bowie lit up his dull life in southern England’s suburbs with philosophical forays into the way concepts of authenticity and identity are turned inside out in Bowie’s work. The result is nearly as provocative and mind-expanding as the artist it portrays. With illustrations by Eric Hanson. Simon Critchley is Hans Jonas Professor of Philosophy at the New School for Social Research in New York. His previous books include On Humour, The Book of Dead Philosophers, How to Stop Living and Start Worrying, Impossible Objects, The Mattering of Matter (with Tom McCarthy), The Faith of the Faithless, and Stay, Illusion! : The Hamlet Doctrine (with Jamieson Webster). An experimental new work, Memory Theatre, is forthcoming. He is series moderator of “The Stone,” a philosophy column in The New York Times, to which he is a frequent contributor. After Andy Warhol had been shot by Valerie Solanas in 1968, he said, “Before I was shot, I suspected that instead of living I’m just watching TV. Since being shot, I’m certain of it.” Bowie’s acute ten-word commentary on Warhol’s statement, in the eponymous song from Hunky Dory in 1971, is deadly accurate: “Andy Warhol, silver screen / Can’t tell them apart at all.” The ironic self-awareness of the artist and their audience can only be that of their inauthenticity, repeated at increasingly conscious levels. Bowie repeatedly mobilizes this Warholian aesthetic. Art’s filthy lesson is inauthenticity all the way down, a series of repetitions and reenactments: fakes that strip away the illusion of reality in which we live and confront us with the reality of illusion. Bowie’s world is like a dystopian version of The Truman Show, the sick place of the world that is forcefully expressed in the ruined, violent cityscapes of “Aladdin Sane” and “Diamond Dogs” and more subtly in the desolate soundscapes of “Warszawa” and “Neuköln.” To borrow Iggy Pop’s idiom from Lust for Life (itself borrowed from Antonioni’s 1975 movie, although Bowie might well be its implicit referent), Bowie is the passenger who rides through the city’s ripped backside, under a bright and hollow sky.